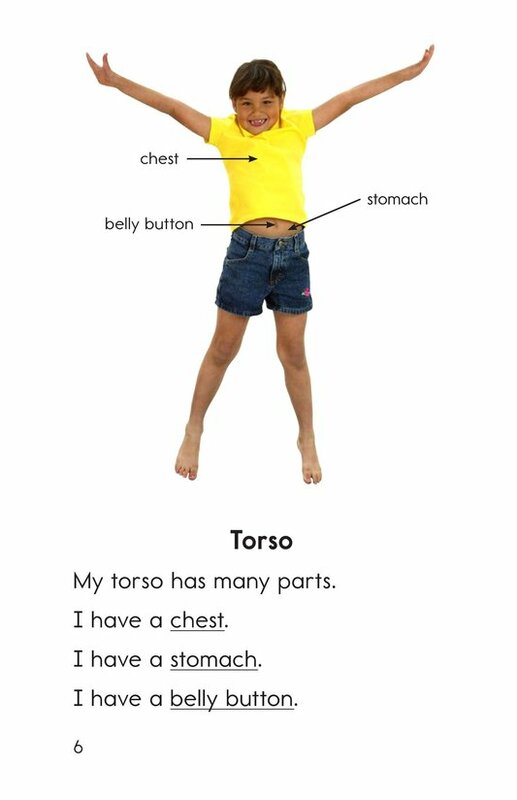 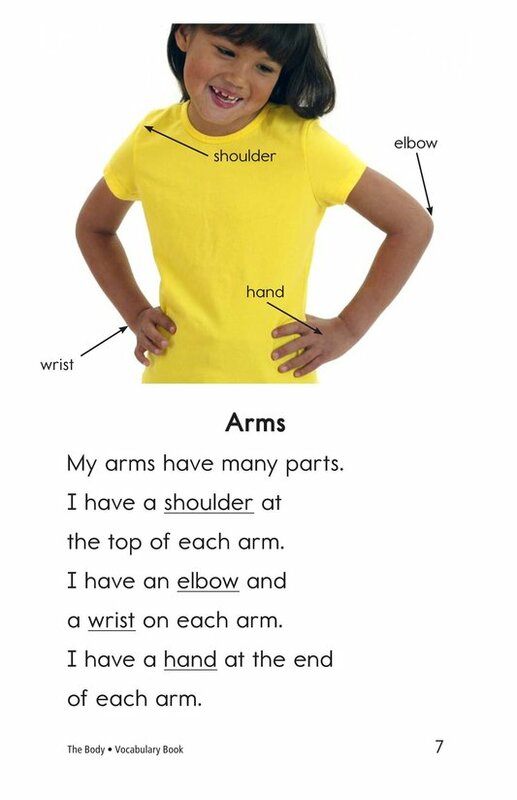 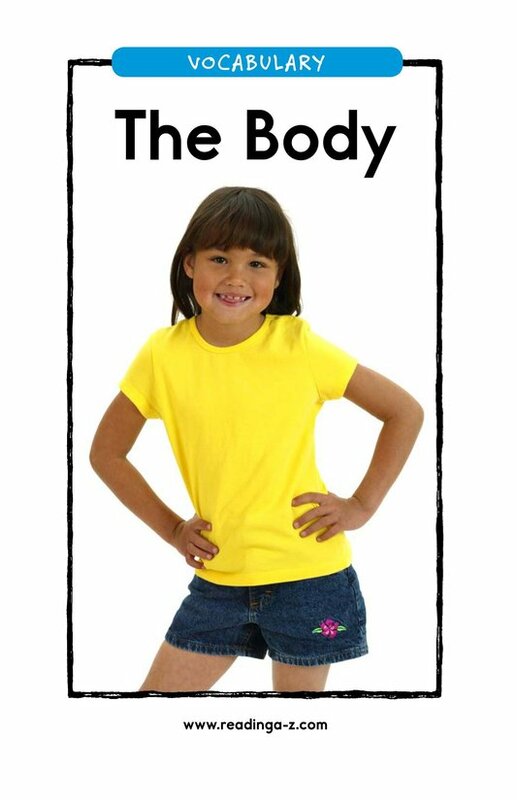 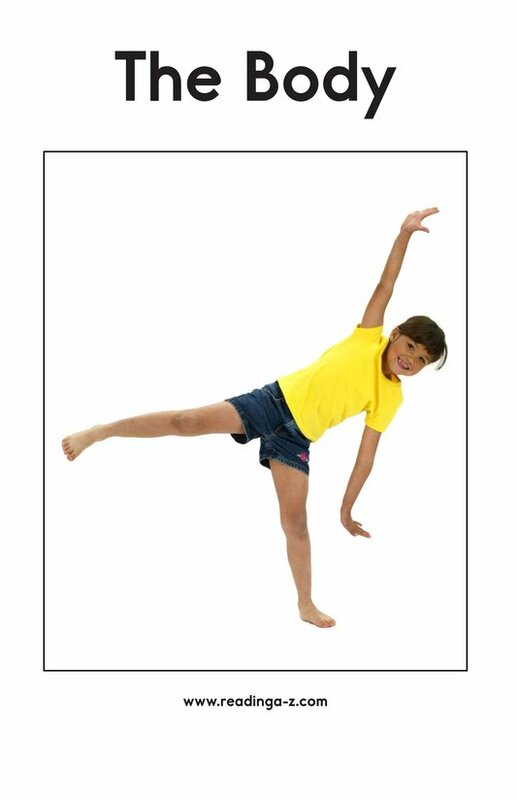 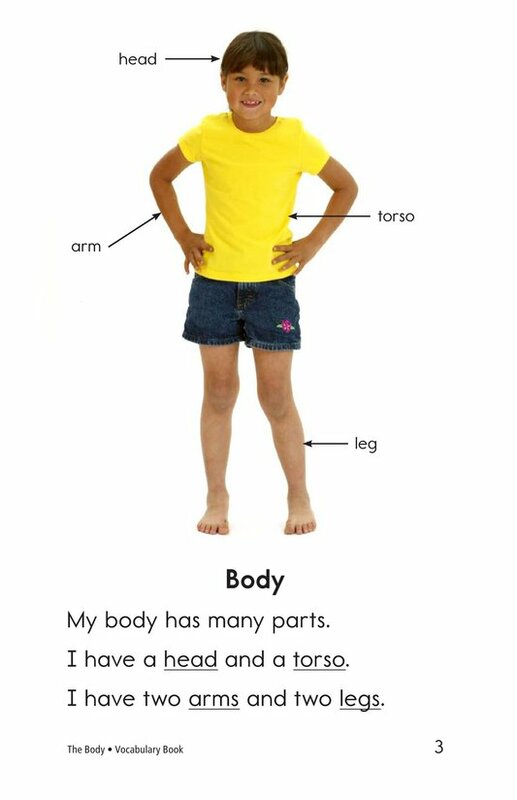 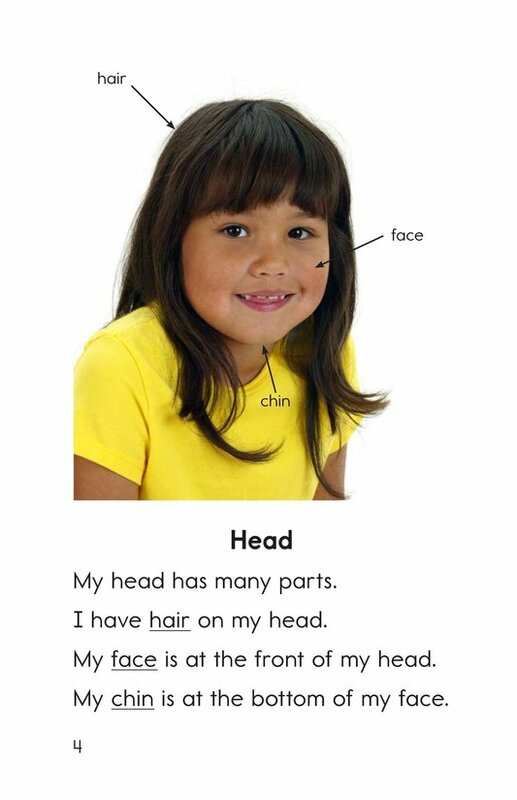 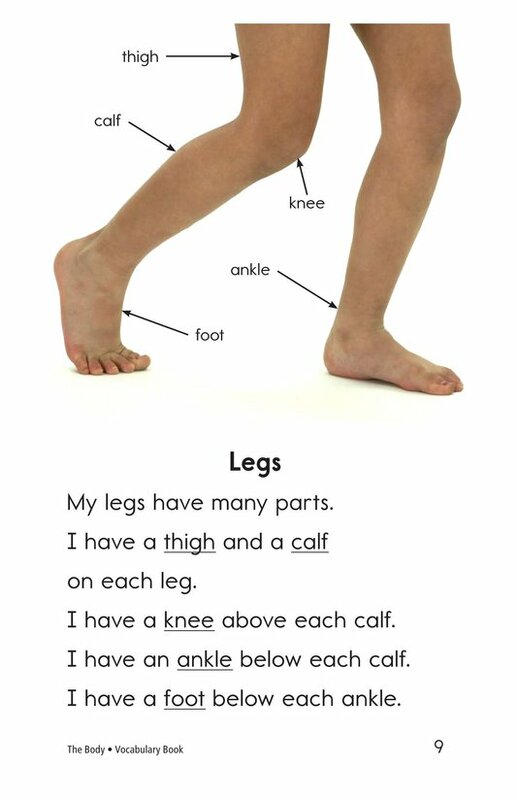 The vocabulary of the human body is introduced and labeled. 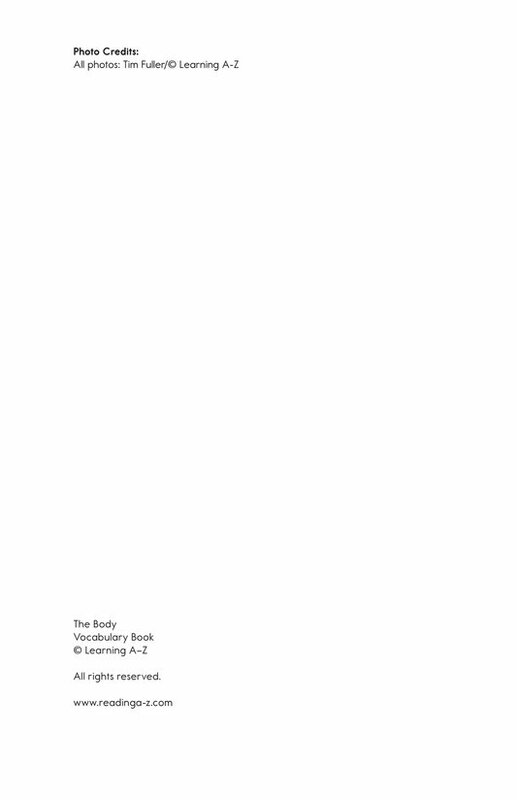 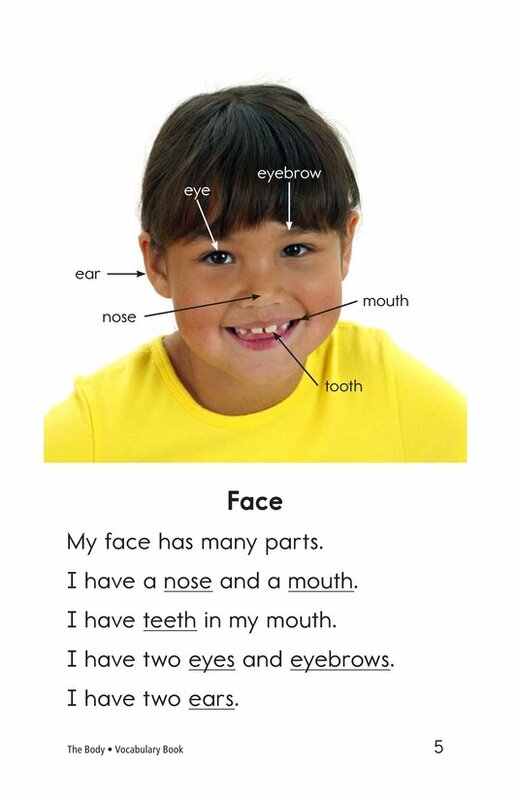 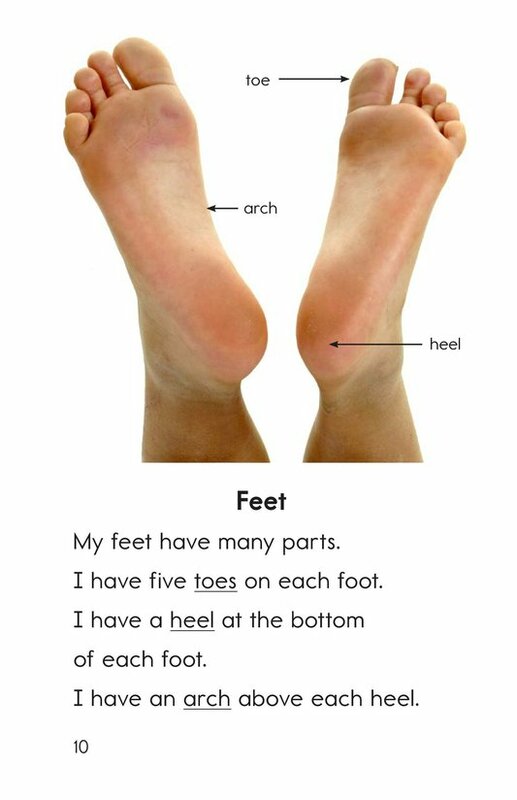 The text is divided into the major parts of the body. 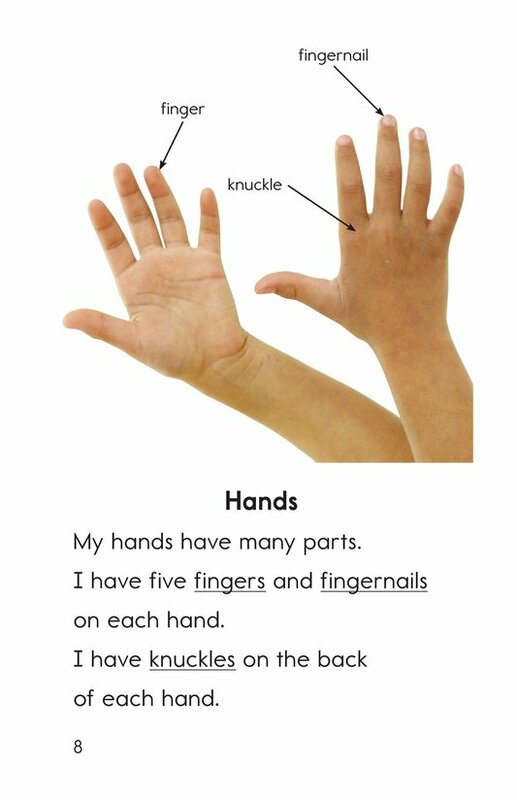 Number words are also part of the text.